At Central Dental Associates of Norwood, we’re pleased to offer patients truly comprehensive dentistry in a modern environment. Our office houses the latest technology, as well as a team of general dentists, an endodontist, & a periodontist devoted to your comfort and lasting oral health. From preventive care to dental implant placement, we offer the full scope of general and family dentistry. As the longest-running dental practice in Norwood, we’re proud to uphold a tradition of excellence. Over the years, we’ve adhered to high standards of service and quality. Your oral healthcare is important to us, and we’re proud to deliver exceptional care in a modern environment. We invite you to tour the office, learn about our services and options for financing, and call us with your questions! 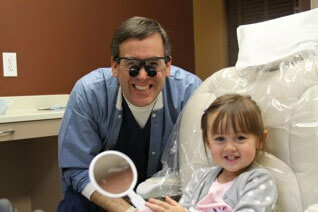 Our office is a caring family practice providing our patients with modern and effective dental technology. We deliver high quality service. Our staff believes that good oral health leads to better physical health in our patients. Our patients' health is important to us. We take pride in our profession and strive to educate our patients to achieve and maintain excellent oral health. We are proud to serve you. Our office optimizes your oral health using state-of-the-art technology and only the highest quality materials.